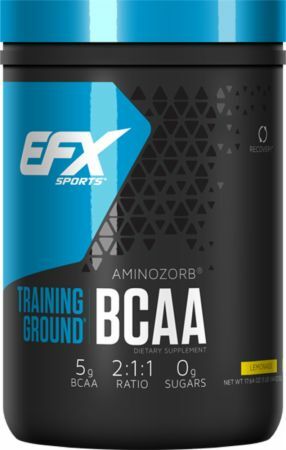 EFX Sports Training Ground BCAA at Bodybuilding.com - Best Prices on Training Ground BCAA! Absolutely not. Unfortunately, many BCAA products are cheap, synthetic versions that are not water soluble and merely float on the surface of beverage they are mixed with. They've also been shown to degrade after being subjected to stomach acids. However, Training Ground BCAA, powered by AminoZorb, is the solution. AMINOZORB: FULLY STABLE. HIGHLY SOLUBLE. The patent-pending technology behind AminoZorb in Training Ground BCAA makes it fully stable in solution and highly water soluble. For athletes who demand the very best, it's the obvious choice. 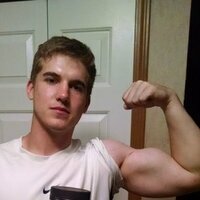 We also own our entire manufacturing process. With a facility that's more than 150,000 square feet, and one of the most technologically advanced labs in the world, we control the entire process of making our premium products. It's why we can guarantee what's on the label is what's in the bottle…without question. To confirm the ID of a given Raw Material and the accuracy of the Certificate of Analysis (COA) we use FTNIR (near infrared technology). Vendor COA claims are checked for purity by HPLC, GC or ICP. We test for Arsenic, Cadmium, Lead and Mercury. Heavy Metals must be under the USP specified guidelines. We test for Total Plate count, Total Yeast and Mold count and Coliform bacteria to make sure that the Raw Material complies with the USP, AHPA and FDA guidelines. 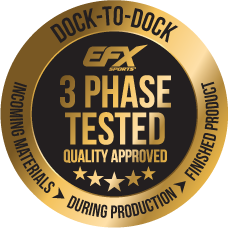 Raw Materials are tested for E. coli, Salmonella, and Staphylococcus aureus pathogens (as needed). Raw Materials are tested for banned steroidal substances (as needed). We perform ATP swab tests prior to batch production and allergen swab tests as needed to ensure equipment is free of potential contamination or microbes. We use FTNIR to confirm the ID of a given in-process mix to ensure it contains the correct raw ingredients. Purity is checked by using HPLC, GC, and/or ICP to ensure the in-process mix will create a final product that meets label claims. We use FTNIR to confirm the ID of a Finished Product. We check the purity by HPLC, GC, and/or ICP if there is a label claim on the Finished Product COA. We test for Total plate count, Total Yeast and Mold count and Coliform bacteria to make sure that the Finished Product complies with specifications. We test again for the following pathogens, E. coli, Salmonella, and Staphylococcus aureus (as needed). We list the allergens, if present in the Finished Product. We test the Finished Product for Heavy Metals contaminants (Arsenic, Cadmium, Lead and Mercury) and make sure they are under the USP specified guidelines. We use an outside 3rd party laboratory to conduct GC-MS/ HPLC-MS testing on finished products for banned steroidal substances, if needed. 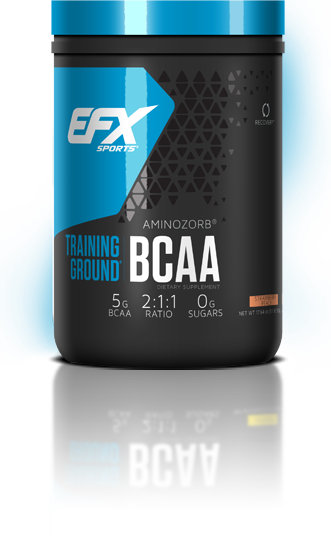 EFX Sports' Training Ground BCAAs is a solid BCAA product. There really is nothing to complain about in terms of its formula and its value. A tub provides 71 servings for $43, which is $0.61 per serving. This is a solid deal for a product deliver 5 grams of BCAAs in a 2:1:1 ratio. The real plus is the flavor. The strawberry peach blows me away. This stuff has some amazing punch to it. I like the bold flavor that is really pleasing when cold. The bold flavor also makes it great for dilution. I love throwing a scoop in a liter and using it as an easy way to stay hydrated. This is definitely a solid all around BCAA product that is affordable and really well flavored. 10 of 10! Citric Acid, Sucralose, Silicon Dioxide, Natural And Artificial Lemonade Flavors. AminoZorb® is a patent-pending product and is a registered trademark of All American Pharmaceutical. Directions For Training Ground BCAA: As a dietary supplement, mix one heaping scoop into 12 Oz of cold water in a shaker cup either before, during or after workout. Warnings: Not intended for use by persons under age 18. Do not exceed recommended dose. If you are taking medication, have a medical condition, pregnant or nursing, consult your physician before using this product.